Famous as a celebrity hang-out for the cast of Last of the Summer Wine, Huddersfield Central Lodge Hotel has been awarded Park Mark for the 12th year running. The lodge has one car park with 50 spaces that caters for hotel guests, local businesses and occasional parkers. 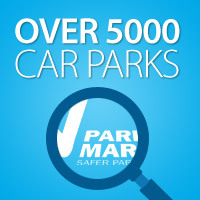 Car park operators with the Park Mark award can use signage featuring the distinctive Park Mark tick, so that drivers know exactly where to go for safer parking. 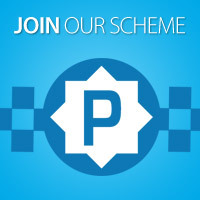 Early adopters of the scheme saw a dramatic drop in vehicle-related crime of over 80% showing that the initiative really does make a difference. Personal safety and location have been cited as joint priorities when choosing where to park. Photo: (left to right): Phil Taylor, BPA North East Area Manager, Chief Inspector Steve Dodds, West Yorkshire Police, Johnny Marsden, Huddersfield Central Lodge Hotel and police assessor, Gerry Gallagher, West Yorkshire Police.